One of the most typical destinations during the winter season are ski resorts. 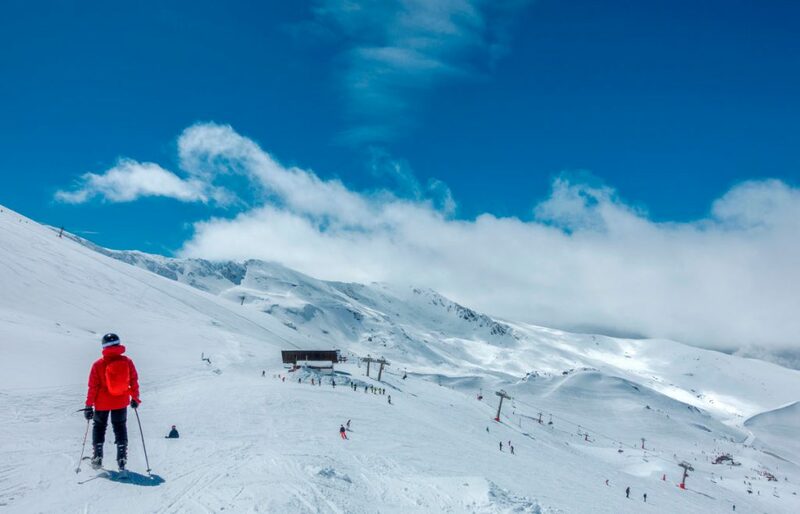 Thousands of people come together from December and Easter (in the best years) in one of the 38 ski resorts in Spain, located between Aragón, Asturias, Cantabria, Castilla and León, Cataluña, Galicia, Madrid, La Rioja and Andalusia. The latter has the Sierra Nevada as an emblem, crowned by the Veleta peak at 3,392 meters of altitude. It has slopes for all levels of experience, it is the only ski resort in Andalucía and it is close to big Andalusian cities such as Granada and Malaga, which allows for a weekend getaway and make it one of the most frequented destinations during the winter season. That’s why, here at Wiber os, we have prepared a three-day road plan to go from Malaga to Sierra Nevada and enjoy a weekend on the mountains. Our #WiberExperience will start at the Malaga airport, where we will rent our Wiber car and start our journey to Sierra Nevada. And yes, we will make some stops along the way to visit some of the most important tourist spots in Andalusia. After reading this plan, you will only need to “trick” some friends and prepare a USB with your favorite music. The distance that separates Malaga from Sierra Nevada is 178 kilometers and it takes approximately two hours to arrive, so it is perfect for a one-day trip, but we are going to make the most of this and pay a visit to Granada, one of the most important cities in Andalusia. But, before we start, we will tell you one interesting fact about Sierra Nevada: it is the southernmost ski resort in Europe and probably the only one in the world where, if you want, you can go skiing in the morning during the spring and , in the afternoon, lie down on one of the beautiful beaches in Costa del Sol. Sounds nice, right? So, as we have already mentioned, we start our trip in Málaga and go directly to Granada, a city with a wide variety of cultural activities and an excellent cuisine. 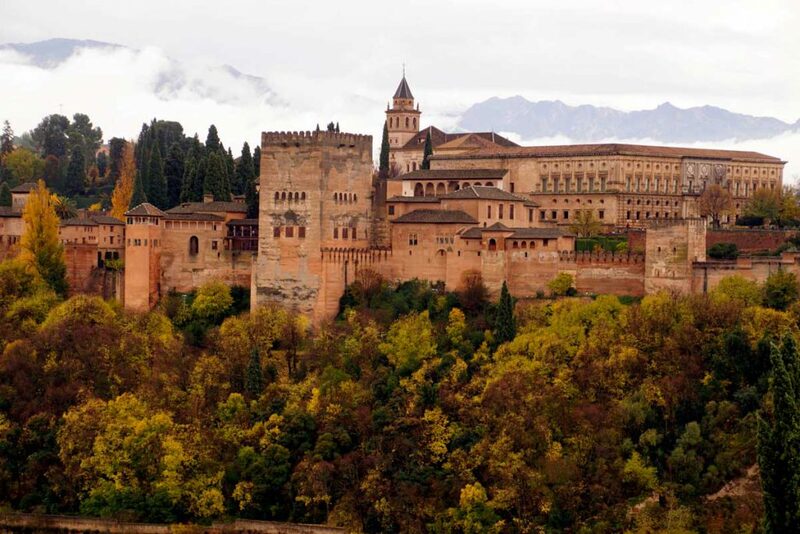 Of course, and as is well known, this Andalusian city revolves around the Alhambra, a wonder of humanity, so your visit is absolutely a must. Another place worth visiting is the Casa del Chapiz, a Moorish house which you can enter from the Cuesta del Chapiz (number 22), in the Albaicín neighborhood (it may look like a private house, but it is Granada’s School of Arab Studies and one of the most spectacular places in the city). Another essential visit is the viewpoint of San Nicolás, one of the highlights of the city and a place where you can enjoy from the wonderful views of the Alhambra and Sierra Nevada (our next destination). It is better to enjoy it one hour before sunset and enjoy a beautiful sunset there (we promise that you will never get that picture out of your head!). Of course, the Albaicín neighborhood is one of the best places to see in Granada. It is more than just a neighborhood: it is a small white town within the city and it is one of the most beautiful walks one can take in Granada. One of the best ways to get around this neighborhood is to start at Plaza Nueva and head towards the famous Paseo de los Tristes, next to the Darro River. Once there, get lost in the alleys and enjoy! In order to recharge your batteries and relax you can visit the Al-Andalus hammam, some Arab baths at the foot of the Alhambra that will transport you directly to the Muslim era of the city , since they are authentic (they were built on the ruins of the old hammam) and are first Arab baths in Europe that were reopened after they were closed in the sixteenth century. And, to finish off your day, you can not miss a tour of tapas in the center and have tea in the street of the teterías. On our second day of the trip, we have to get up early to complete the scarce 40 kilometers that separate Granada from Sierra Nevada and make the most of the skiing day. Going up Sierra Nevada on car is very simple since the road is easily accessible. However, we highly recommend to get snow chains to be prepared in case of bad weather conditions. If you are a beginner, it is better to spend the day in Borreguiles (green tracks); If you have an intermediate level, take advantage of the Stadium or Loma Dilar station, tracks with better snow and less traffic. Finally, if your level is advanced, we recommend the tracks of La Laguna and Veleta. In short, when you go skiing to Sierra Nevada (or any other ski resort), the most important thing is that you move through the appropriate tracks at your level, since you will have a better time and enjoy it more. As you can see from the map down below, to go from Málaga to Sierra Nevada (with a stop in Granada), we have travelled across the state, but to go return to our initial spot, we are going to travel through a part of Costa del Sol. On our return to Málaga, we will pass by some small cities that are also worth a visit such as Nerja or Frigiliana, two small towns in Málaga that will leave you speechless and make you fall in love. Once you are in the capital, if you have time, we recommend you visit one of the must spots in the region such as the Larios street, Plaza de la Constitución or Alcazaba. If you have more time, don’t miss out our guide on what to see in Málaga in three days: the musts. Spend an adventurous and different weekend by visiting two of the most beautiful cities of Andalucía. Don’t let anything get in the way of enjoying a trip from Málaga to Sierra Nevada.